Impacting the community from generation-to-generation! 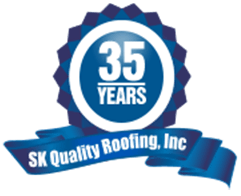 We are proud to be a 2nd generation family owned and operated business that has been serving the area since 1982. With 3 decades of experience and proven methods we enjoy an excellent reputation with our clients, which has led to long-lasting business relationships both in the private and public sectors. Our commitment to the area goes beyond providing top-quality solutions. Giving back to our community is a proud focus that guides us in our day-to-day operations. Consequently, SK looks forward to these opportunities to work with area organizations throughout the year. Most noteworthy is our participation with Habitat for Humanity, the Caring Kitchen, Breast Cancer walks, the Chamber of Commerce, and the Delray Beach 4th of July celebration, to name a few. We are also proud to be Florida State Certified instructors offering continuing education credits for both contractors and property managers. Located in Delray Beach, we serve Palm Beach and Broward Counties, and are fully licensed and insured. Give us a call to learn more at (561) 276-8040. NEW Financing Options Available – choose one below!